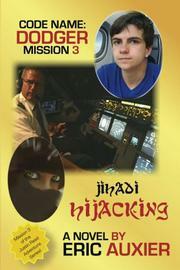 In this YA novel, a teenage protagonist contends with the terrorist hijacking of a commercial plane. Justin Reed is a 14-year-old orphan whose father was killed by a nefarious spy, the Pharaoh. Unable to apprehend him on his own and in grave danger, Justin is given safe refuge by Bob Cheney, a CIA agent, who eventually adopts him. Bob trains Justin to become a talented operative, which only makes his assimilation into normal teen life all the more difficult. While at school one day, Justin comes to the aid of a defenseless peer preyed upon by bullies and uses his skills to manhandle the whole bunch. He’s suspended from school, and a frustrated Bob takes Justin with him on a trip to Israel, which is really a covert mission. Radical Islamic terrorists, who announce their allegiance to the World Islamic State Caliphate, hijack the plane carrying Bob and Justin. An organization with global reach, the caliphate seeks to consolidate the world’s terrorist groups under one chain of command, largely bankrolled by Naristan, the fictional Mideast country concocted by the author. The attempt to commandeer the plane turns out to be just one phase of a much grander plot to instigate world war, and Justin is once again called to duty. Auxier (Cartel Kidnapping, 2014, etc. ), a commercial airline pilot, uses his thorough knowledge of aviation to make the action believable. Of course, the story is extravagantly implausible, but it’s intended to be, and the plot unfurls with as much credibility as possible for a fantastical adventure. While the story is clearly fashioned for a YA audience, Auxier injects some serious educational content. Bob patiently explains to Justin how to understand the persistent problem of violent Islamic radicalism: “And that points to the true root of their problems, I believe, which lie not so much with religion, but with tribal and cultural prejudices. And, perhaps greatest of all, economic strife.” Whether this is historically accurate is beside the point; the author provides a thoughtful perspective for young readers to ponder and discuss with their parents. This is the third installment in the Code Name: Dodger series, and the author seems to have perfected a combination of adolescent whimsy and historical gravity that will likely appeal to the targeted audience. A free-wheeling, engaging espionage tale that aims to enlighten readers.